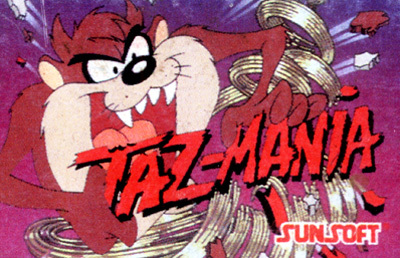 Based on the cartoon of the same title, Taz-Mania for SNES is completely different than the Taz-Mania games on the Sega Genesis and Game Boy. In this game, you must run a race course while avoiding busses and other vehicles on the road. The goal is to catch and eat as many kiwi birds along the way as you can until you stuff yourself and pass out in the middle of the road. If you don't stuff yourself before the timer runs out, you must start the level over.